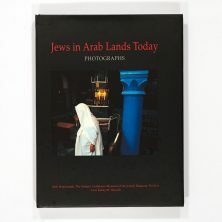 Jews were among the first settlers of the town at the end of the 8th century. The Jewish Community rapidly became influential and commanded great respect. They lived in their own quarter (Al-Funduk Al-Yahudi). Fez became a cultural and commercial Centre of prime importance, largely as a result of the Jews’ presence. Such scholars as David B. Abraham Alfasi and R. Solomon B. Judah – who became Head of the Jerusalem Academy – went on to Palestine, and Grammarians of the stature of Dunash B. Labrat and Judah Hayyuj went to Spain. During the Golden Era in Fez, three grave events occurred: a section of the community was deported to Ashir (Algeria) in about 987; 6,000 Jews were massacred in 1035 by Fanatics who conquered Fez; and the town was ruthlessly sacked in 1068 by Almoravides. Beit Hatfutsot, the Visual Documentation Center. Courtesy of M. Bousira, France. 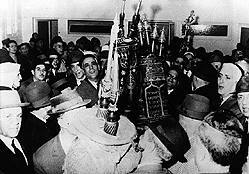 Simchat Torah in the Synagogue outside the “Mellach”. Beit Hatfutsot, Visual Documentation Center. Courtesy of Mr. Boushira, Morocco. In about 1127, a Pseudo-Messiah, Moses Dari, brought afflictions upon the Community. Some decades later, attempts at forced conversion led to the death of the Dayyan R. Judah Ha-Kohen Ibn Shushan and the emigration of Maimonides and his Family. In 1244, the Merinides established themselves in Fez and treated the Jews well, even saving them from an Insurrection. However, with the decline of the Merinides and the revival of Fanaticism, the Jews were compelled in 1438 to live in a special Jewish Quarter. When the Sultan appointed a Jew, Harun, as Prime Minister in order to straighten out public Finances, the town rose in revolt, the Sultan and his Minister were assassinated, and most of the Jews were massacred (1465). The community did not recover from this catastrophe until 1492, with the arrival of the Spanish Refugees who became dominant. They held the Office of Nagid, established in Fez at the beginning of the 16th Century, and their Yeshivot were headed by scholars including Nachman B. Sunbal, Samuel Chagiz, Judah Uzziel, And Saul Serrero (16th-17th centuries), Judah and Chayyim Ibn Atar, and Samuel Sarfaty (18th Century). There were famous Dayyanim, such as the Ibn Danans, whose authority was recognized by Jews of the whole Country. Many Rabbis of Fez went to teach in Communities abroad. The preeminence of Fez only ended after the death of Jacob Ibn Zur in 1753. In the second half of the 16th century, Fez lost its political and economic importance. As a result, many wealthy Jews left the town; after about 100 years, 1,300 families of the rich Jewish Community of Dila were transferred to Fez. With their arrival, these families changed the composition of the Community of Fez, which lost its Spanish Character. Most of its members worked as Goldsmiths, in the manufacture of gold thread, in Lace making, in Embroidery, and as Tailors. In 1790, Moulay Yazid destroyed its Synagogues, ordered the plunder of the Community, and expelled its inhabitants. The return of the Jews was authorized in 1792, but the Community was reduced to a quarter of its former size. Life improved and interest in study was reawakened by such men as Abner Sarfaty and Isaac Ibn Danan (d.1900). The Community possessed many schools, five Yeshivot, and an important Benevolent Society. A French School, financially supported by the Notables of the Community, was founded by “The Alliance Israelite Universelle”. In 1912, two weeks after the establishment of the French Protectorate, a revolt broke out in Fez. The Community of 12,000 was ransacked and their property set on fire by the mob; about 60 people died. The French Military Authorities had previously confiscated all the Jews’ weapons. From 1925, many Jews established themselves in the new town of Fez – only the poor remained in the Old Quarter (Mellah). In 1947, there were 22,484 Jews in Fez and its surroundings, including several Physicians, Advocates, Industrialists, and owners of Agricultural Estates. 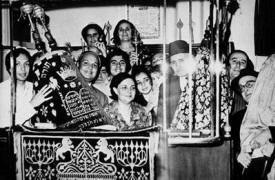 In 1951, 12,648 Jews lived in Fez – 5.8% of Moroccan Jewry. The town had many Jewish Educational Institutions run by “The Alliance Israelite Universelle”, “Ozar Ha-Torah”, and “Em Ha-Banim”. In 1961, these and other Jewish schools had a total of 2,823 pupils. 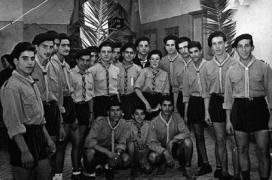 Before the emigration of the 1950s and 1960s, there were general Jewish Organizations such as the Zionist Bnei Akiva, branches of Wizo, and a branch of the World Jewish Congress. There were also groups for the study of Hebrew and several Social Welfare Organizations. Most of the Jews who left Fez made their way to Israel; others went to France and Canada. 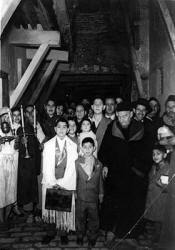 In 1969, approximately 1,000 Jews lived in Fez. Among the sites of Pilgrimage for Jewish Travelers in Morocco, the most popular is the tomb of Rabbi Yehouda Benatar in Fez. 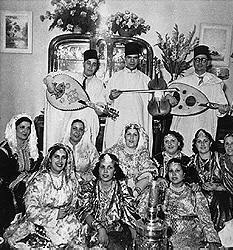 In 1997, 6,500 Jews lived in Morocco, 5,000 of them in Casablanca and only 150 Jews in Fez.